Mix the following rub ingredients together in a small mixing bowl: McCormick Old Bay Seasoning, dried thyme, garlic powder, ground cumin, salt, and pepper. Using a spoon put grapeseed oil on both sides of the ribs. Make sure to wash your hands in between touching meat and other utensils to avoid raw contamination. Pour mixed rub all over the ribs. Then use spoon or your hands to spread the seasoning evenly onto the ribs. 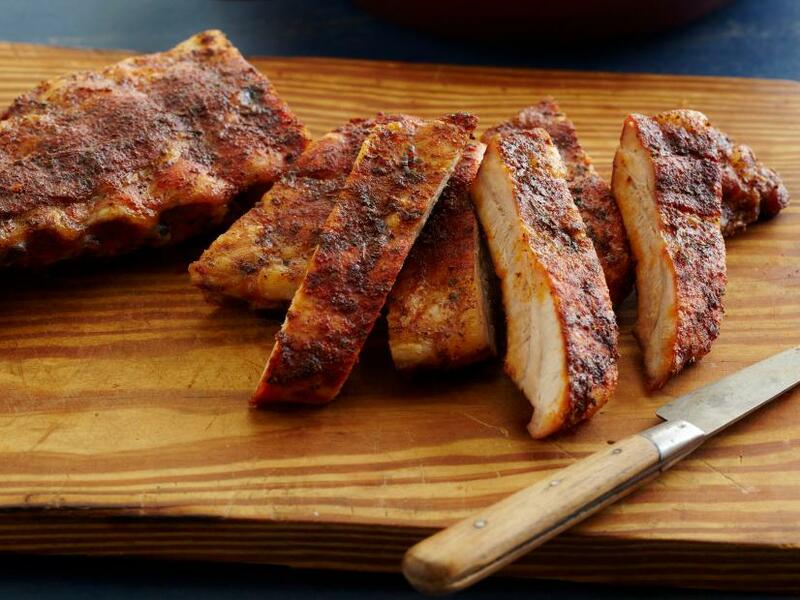 Put ribs on a foil-lined baking sheet. Time: Bake until tender and juicy on the inside and crispy on the outside, for about 1 hour. Pull out ribs, let sit till cool enough to wrap or use oven gloves and wrap ribs with foil all around. Bake for another 1 or until tender.